Where to reserve a hotel ? 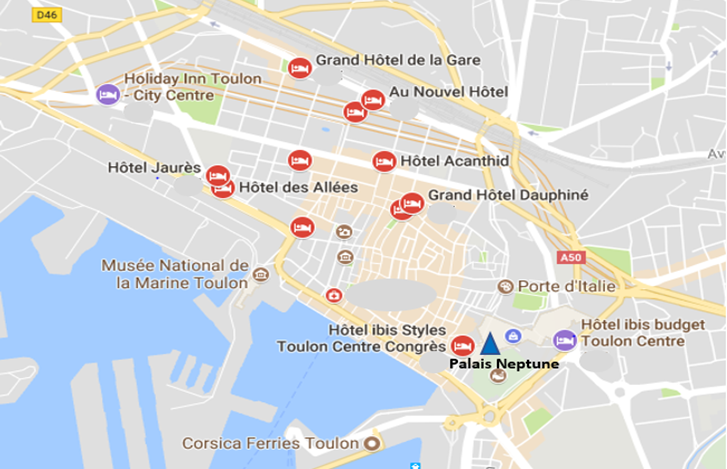 See below a list of hotels selected by the organizers and close to the venue. We strongly encourage you to make your hotel arrangement as early as possible. The weather is usually nice and sunny in the souh of France at this period of the year. Hotels could be full during the month of September.